Here is a closer LOOK! 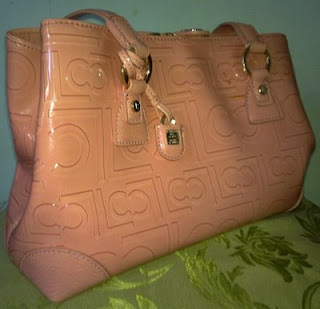 By the way this is a Liz Claiborne peach bag! Please visit PhotoHunt's HQ to see others' lock! Very nice take for this week's PH theme. Stop by & visit me! hmm looks like it's one expensive bag. i am just not comfortable with bag locks.. Seems like a good choice for 'lock' to me Pretty bad. Very unique take on the theme and I love the bag (great color!). Thanks for visiting mine and have a nice weekend! haha, did you know: I have 4 TP's for the Time beeing, but the oldest I will return (and IBM TP - the others are Lenovo TP's of different models - Z - T and X300). That's such a neat lock! No one would want to wade through the crap in my handbag (needless to say, a photo bag) to steal anything from it. Lovely bag. I can think of a few bags of mine that I wish had a lock. Mine is up here. I like the color must be an expensive one. Nice bag! I also own a Lenovo and I'm still in search of the perfect and most stylish bag. that's a lovely bag lock. thanks for visiting. This bag doesn't come cheap, rite? If I ever had a lock on a bag, it would be as good as throwing it away. I have 7 keys on my chain and I still keep locking myself out of my apartment. However, that is one glorious bag. Lock or not. 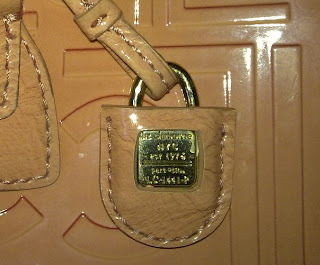 That's a really nice detail on that purse. Nice entry for the theme! Thanks for stopping by at mine. That is, indeed, a lovely bag. I'm not really a shopper, but I love to see lovely photos of lovely things!